Welcome to Japanese Learning Resources: March Media edition! Every month we bring you the best new Japanese resources to help you learn, practice, and improve your Japanese skills. This could be anything from articles to apps to books to games. March was sparse in the way of traditional learning tools, leaving us with some wonderful media you can consume whether you want to focus on the Japanese language or not. This month we have an audio book, video app, television show, kanji app, and brand spanking new video game. Let's do this thing! 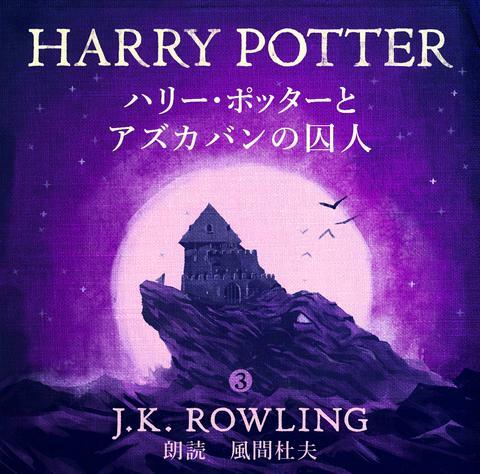 Also known by its Japanese title ハリー・ポッターとアズカバンの 囚人（しゅうじん）, the third Japanese audio book of the Harry Potter series has finally been released through the Pottermore store. Why did it take so long to come out? Who knows, who cares! What matters is this is an entire book of listening practice and, if you somehow have not read the Harry Potter series, an introduction to a fantastic world of witchcraft and wizardry. The audio is read by Morio Kazama, who has a deep voice, similar to that of male radio announcer. You can listen to a preview on the amazon.co.jp page to make sure that you like his voice, speed, and style, and to see if you're ready for this level of Japanese. While it may not be beginner friendly, it is absolutely a great addition to your reading material. And if you're the type of person who has been desperately looking for something to listen to during your commute, in the shower, or while you sleep, his calming, steady voice may be exactly what you're looking for. The best way to use this, and the first two audio books in the series, is to read along with the Japanese texts while you listen. Lucky for us, the entire Harry Potter series (and more) is already available on Pottermore in Japanese. As many of you may already know, language shadowing is one of the best methods to improve your reading and speaking skills. So why not do it with a beloved classic? 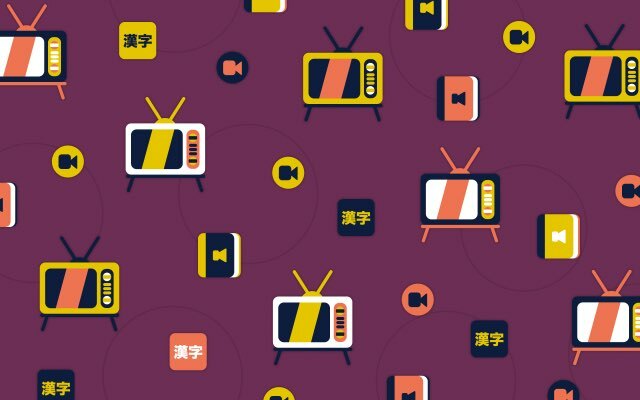 Have you ever finished watching a show or movie in Japanese and realized you didn't really take in or learn anything new? You got the gist, you enjoyed what you watched, but you weren't able to really break down the dialogue or pick up any new words or grammar. The Caterpillar app aims to change this passive approach to learning with shows and movies and help you turn it into active, SRS based educational material. With the Caterpillar app, you are able to upload the video and subtitle files for movies, TV shows, music videos, (any video you like!) and it automatically breaks that video into replayable segments. You can change the speed, quiz and rate yourself, and set certain sections to come back more often so that you can focus on them more. Active learning and the use of SRS (Spaced Repetition Systems) are some of the best ways to learn a language, especially if you aren't able to use that language naturally in your everyday life. Not all of us can live in Japan and chat it up all day, you know? The best part is this isn't just for one language or one type of video. You can use it to study from anything you have the file for. And while we, and Caterpillar, don't support finding videos illegally, there are plenty of ways to find videos of the language you want to learn and then actively learn from them with this app. Want to learn Japanese, Portuguese, and Italian? No problem. Use Spongebob to learn them all. Nothing is stopping you now. Update: Sadly, this app is no longer available. Ah, food. The love of food can bring any culture together. And in this case, the love of food can bring you closer to speaking Japanese. Samurai Gourmet just arrived to Netflix and is a charming, slice of life mini-series, with some humor and tons of yummy food mixed in. It revolves around the life of a recently retired 60-year-old Japanese man named Takeshi, who upon realizing he has nothing to do all day, finds a passion for eating food at local establishments. It's relaxing, simple, and very fun to watch. The Japanese is straightforward and rooted in everyday life, especially food. Different restaurants have different menus, styles of ordering, and mini cultures all their own. The show offers a view into the language, etiquette, and culture that exists when you're dining in Japan. It also has fantastic cinematography and will leave you starving for the food they showcase (at least in most cases). Samurai Gourmet has Japanese subtitles (which we recommend using first), as well as English, Spanish, Traditional and Simplified Chinese. Whether you're prepping for your first trip to Japan (and all the restaurants you'd like to eat at), or you just want to relax with an entertaining Japanese show – we highly recommend you give this a try. Oh by the way, there's also a thing with Samurai hallucinations, but we won't spoil that. Just watch it for yourself, ね? Mnemonics are a great way to learn hiragana, katakana, and even kanji. They're little stories you use to remember things that would otherwise need straight memorization. 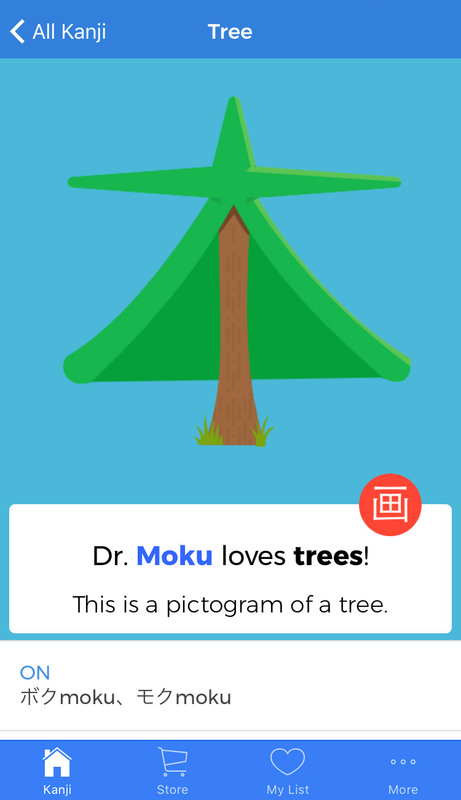 The Dr. Moku series has been around for a while, with their hiragana and katakana mnemonics, but their first foray in the world of kanji mnemonics has popped up in the app stores. While it's still in its infancy, the app offers mnemonics to learn some basic radicals and 30 kanji with the use of original mnemonics and images. The kanji is presented with a simple mnemonic to teach the on'yomi or kun'yomi reading (or both) and the meaning. As you scroll, more dictionary-style information is listed, including meanings in English, as well as a few other European languages, grade levels, JLPT ranking, frequency, etc. You can choose to hide any of this information in your settings, which is important, because you don't want to try to stuff all of that info into your brain at once. On top of the first 30 kanji the app offers, you can purchase something called the "Kanji Package 1 - JLPT5" in the Store tab. This contains "Over 75+ new Kanji Mnemonics including the entire JLPT 5 set." However, that's the extent of the current content. The price point is a bit high for what is basically a flash card app, but all the content other than the mnemonic pictures is included for free. So you can still use it without spending any of that precious cashola. The Nintendo Switch was released this month! And with it, the newest installment in the Legend of Zelda series. For us, the most exciting thing about the Switch is that it is the first Nintendo console in a long, long time that is not region locked. You can take your American (or wherever else you live) Nintendo Switch and change the system settings to Japanese. This will immediately change the language of any game you play to Japanese. 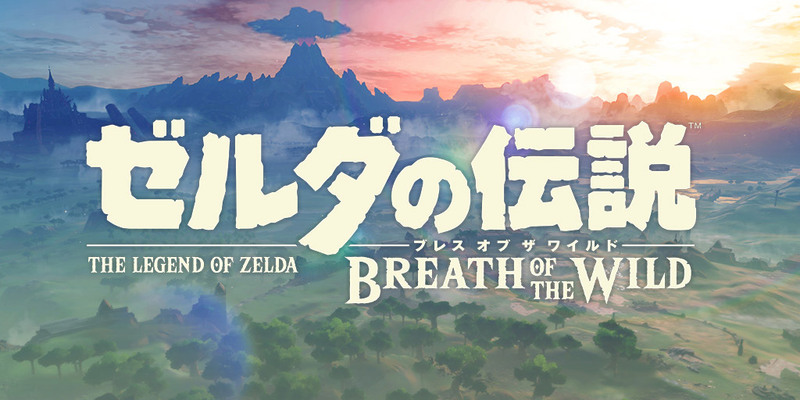 In this case, the newest addition to the Zelda series: Breath of the Wild, or ゼルダの 伝説（でんせつ） ブレス オブ ザ ワイルド. This is arguably the first open world Zelda game, and the quests throughout its expansive world are driven by conversations. Many side quests don't even appear in your quest log, but rather are hinted at in short chats with NPCs. With this focus on deciphering conversations and context clues, it becomes a wonderful tool to practice your Japanese. There is very minimal voice acting, so you get to practice your reading above all else. A pretty important skill. Not to mention, the game itself is brilliant. Just beware — as is the case with many games, many of these conversations will use "fantasy" Japanese, language you wouldn't normally use yourself. But if you want to start playing games in Japanese, the vocabulary you'll learn will be helpful with the rest! If you're lucky enough to already have a Nintendo Switch, I don't know how you wouldn't have Zelda already, since it's the launch title – but it is definitely worth picking up, as both a game for fun and a game for Japanese practice.